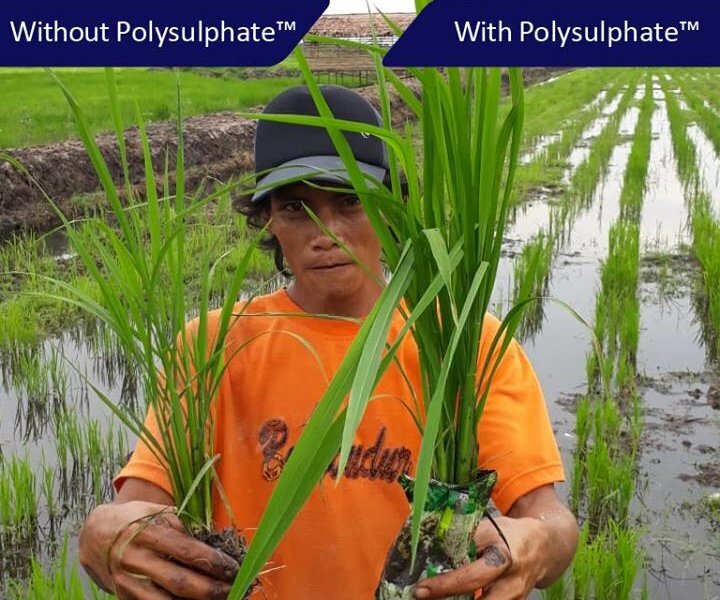 From paddy fields in Indonesia to pepper plants in China, from potatoes in Wisconsin and Inner Mongolia to maize and wheat in the UK, from sugarcane in Brazil and pineapples in Malaysia, ICL Boulby’s revolutionary polyhalite-based fertilisers are proving a winner across the world. With over 300 trials conducted, the multi-nutrient mineral produced at the world’s first and only polyhalite mine has been shown to deliver major improvements in growth and yield in a huge range of crops. Better root development from maize and wheat trials in the UK. Major improvements to soybean crops in China and Argentina. Thicker and taller sugarcane stalks in Brazil. Improved shelf life to pineapples grown in Malaysia and improved quality of melons in China. Says ICL Boulby Vice President and General ManagerAndrew Fulton “There is growing recognition and enthusiasm for the improvements which polyhalite, which is marketed at Polysulphate, can deliver in widely ranging conditions. “The findings of the crop trials conducted in so many countries and with so many different crops show quite clearly that Boulby is now playing an increasingly important role in meeting the needs of farmers worldwide. “As well as better growth and yield, another important benefit of our product—especially with the growing demand for protection of the environment—is that it has a far lower ‘carbon footprint’ than many other fertilisers. “Ours is a natural product. It is just mined, crushed and screened without any further energy-intensive chemical processes so energy and water use in Polysulphate production is far less. In addition, there are no by-products to deal with which also contributes to its small ecological footprint.